― Dean Karnazes | Read Online. The sandy seashore slows you down, working every muscle in ways you never knew they could be worked. The beach, with its soft sand, is hard going for everyone. But the run draws you on. The rhythm of the run evaporates your stress like the ancient beat of an African drum. Finally, your body, running on autopilot as your runner’s high takes you through the stratosphere, finds its way back to the bricks, back to the promenade. Back to base. 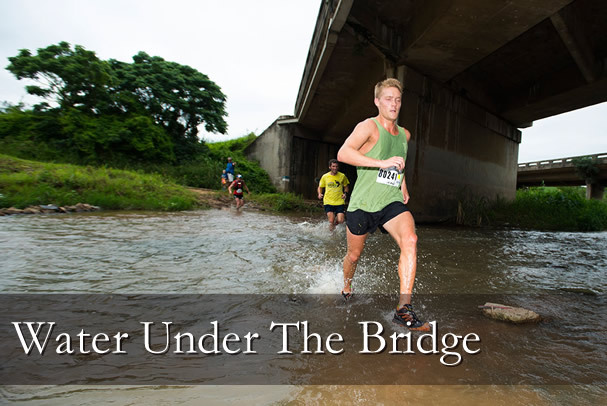 Trail running is a relative newcomer to the worlds of sport and fitness. It’s running, sure … but seasoned with adventure and new experiences. Trail running burns 10 percent more calories than more conventional jogging. It also improves balance and makes athletes more agile. 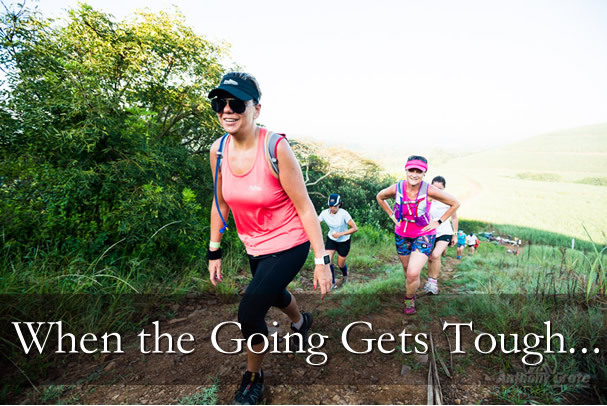 Trail runners have to avoid rocks, circuit puddles, dodge branches and more - making trail running a much tougher workout. 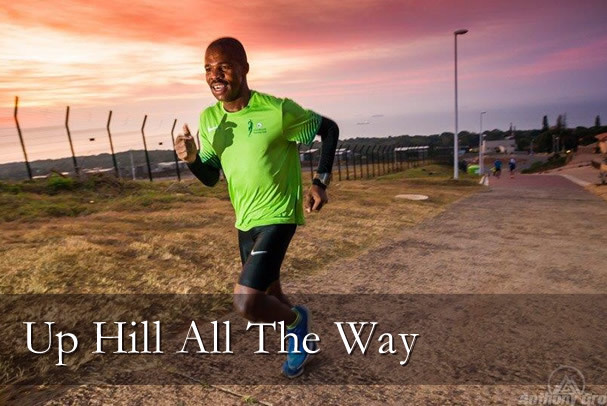 Also, trail running works different muscles with each and every step. The range of long and short strides strengthen hips and ankles. Interesting, trail running causes less impact on joints. It’s the way we were designed to run. 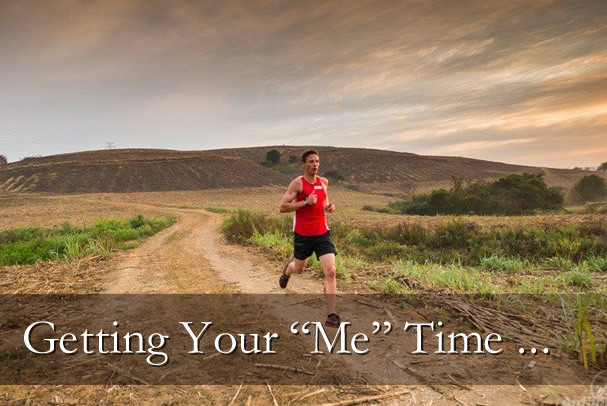 Even professional runners add the occasional (or frequent) trail run to their workout programme. Runners at every level find that trail running reduces the risk of injuries. Above all, though: it’s fun! 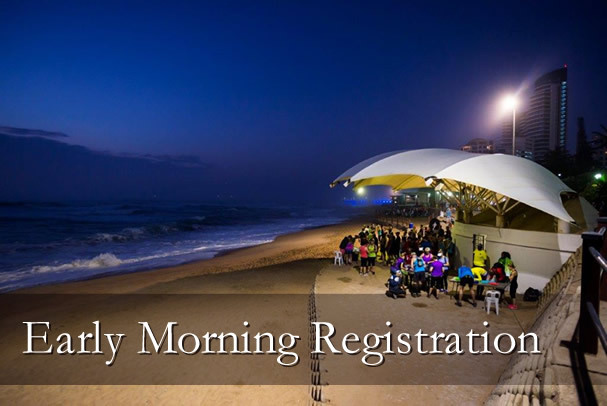 Every run starts on the Umhlanga’s pristine promenade. 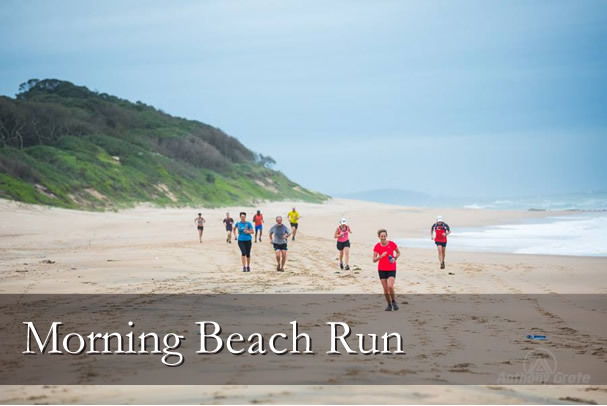 The shorter run winds its way through the coastal forest, onto the beach, then back onto the promenade. 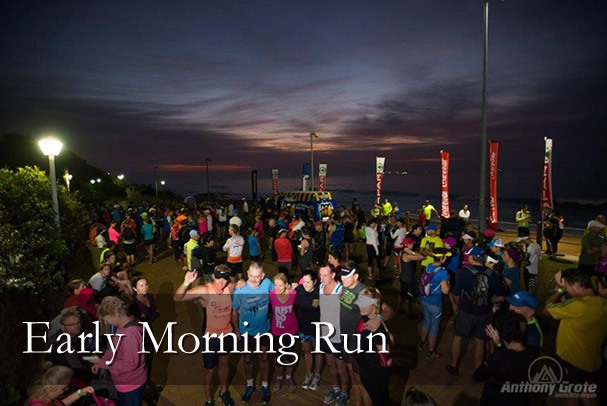 The 12km and 18km runs leave the promenade to beat a track onto the roads. 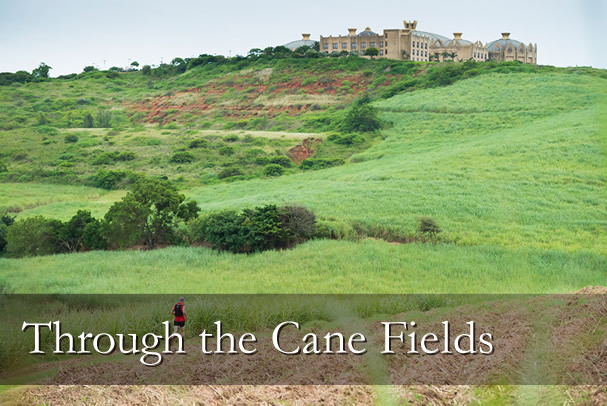 Urban gives way to agricultural as they make their way through the cane fields where they cross over the N2 motorway. Each run winds back underneath the motorway. 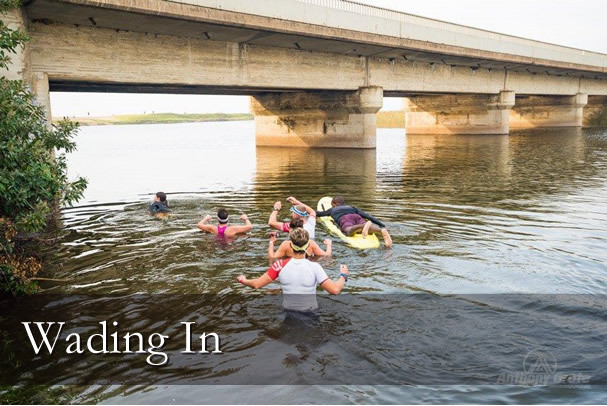 This is where runners really get their feet wet, running through a stretch of lagoon. 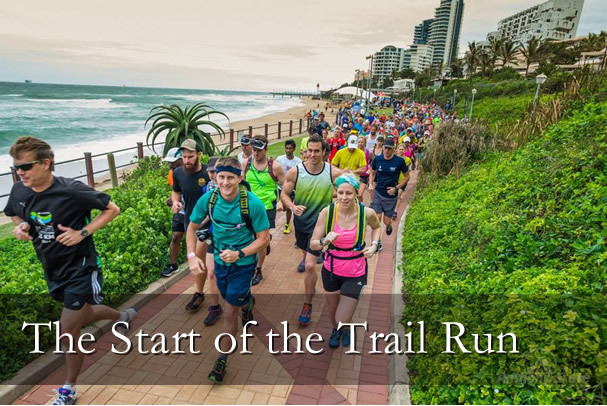 They make their way onto Umhlanga’s gorgeous beach, and then finally back onto the promenade. 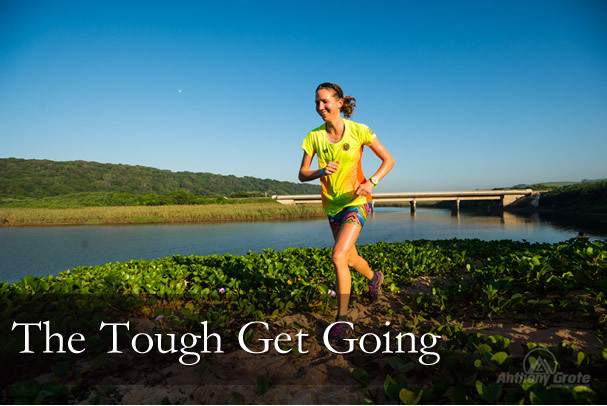 Trail running is the perfect way to workout both body and mind .. and Anchor’s Rest is the perfect base. Come and stay with us while you pound the promenade. Or try something new by throwing in a trail run the next time you visit us. We’ll go the extra mile to make your stay a delight. Book here or call us on +27 (0) 31 561 7380.